Iceland’s ruling centre-right parties under Prime Minister Bjarni Benediktsson have lost their majority opening up the posibilty of left-leaning Katrin Jakobsdottir taking over. Iceland’s president is expected to call on the eight parties which have won seats in the 63-member parliament to see who can pull a coalition together. but the Left-Green movement says they deserve a chance. The new kid on the bloc the Centre Party which was only formed in September by former Prime Minister Gunnlaugsson surprised many by winning 11 seats and could put his in the role of kingmaker. Polls heading into the election showed nearly half of voters would like to see Jakobsdottir as their next prime minister. If she does get the opportunity it will be only the second time Iceland has had a centre-left coalition since it won independence from Denmark in 1944. The Left-Greens have pledged to fund increase in public health care and education by raising taxes. 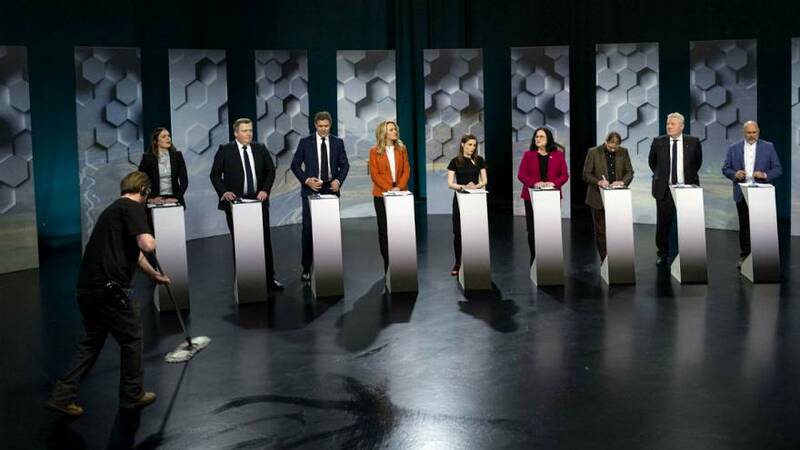 Other parties did not achieve the 5 percent voter support needed to be represented in Alþingi, the Icelandic parliament.